We become sisters and brothers sharing sunsets and laughter in silhouettes. Posted in Art, Blogging, Joy! Big. Happy. Color. Perfect challenge topics for this artist, photographer, writer. This post marks my studio on the beach. It is a very BIG beach on Lake Superior. I call it my Happy Post. Last year I wrote about it in a post called Celebrating Life Sharing Joy. In my recent absence from blogging, I have been on a fabulous journey of exploration. On this journey I discovered some of my addictions. I am addicted to COLOR. I am addicted to JOY. I am also addicted to Happy People, Stones, the Beach, Teaching, Art,and being Healthy. In early October, as the colors of summer quickly turned to the fleeting palette of fall, I was out shooting as often as the weather permitted. It has been a very cold and wet fall, snow already, mixed with other harbingers of winter. I now have thousands of images to sort through from a few good color shooting days… indoor work for snowy days. I have been quiet. I have been in a wee bit of a No Comfort Zone. I was physically limited by 2 injuries. One to my foot, the other to my hand. At one point I could not type, hold my camera or even a cup of coffee. Nor could I hike the dunes or trek to the beach so often. Miracles happen. The last two months have been miraculous. I learned how much I value my ability to hike the dunes to get to my beach studio. (Thank you feet!) I learned how important my hands are to me. (Thank you hands!) I learned that even when I am apparently unable to “do” much, that I am able to be very happy. The Big Color Happy Post was restored with new ribbons, full colors. Recently, I rejoiced in the opportunity to spend several afternoons in sunshine, shooting the flying colors in the beach breezes. While the Big Happy Post on the Beach marks my return to my studio, this blog post marks my return from silence. I may not write as often, and although this one is long, I may have to become economical with words here, with three books in progress. I am also making some new big art pieces… and have been gathering stone for winter works. I laughed the whole time I was shooting these. I laughed with the sky; it was such a deep rich clear blue. I laughed as the ribbons danced in the the wind and cloud vapor repeated their rhythm in the background. I laughed with the bubbly cotton ball clouds billowing up on the horizon. I laughed with the sound of the waves and the smell of fresh air. I laughed as I waited for the yellow to fly and I rejoiced in my colorful life. I laughed out loud as I lay on my belly on the warm sand to shoot color against the sky while my spirit soared and I connected once again to the universe and myself. I laughed with the joyful knowledge that my hands still work most of the time and my feet carry me off on wonderful adventures. Life is good, full of color and joy. I am comfortable with that. I have missed you all and it is good to be back. … and then the Yellow lifted up and soared. This is a re-post from the very beginning of Post-a-day 2011, and according to stats, not many have seen or read it. It seemed to fit the bill for the Weekly Photo Challenge: Movement and since I am not moving very quickly at the moment (broken toe) I hope you enjoy! Next Sunday, July 15th is Lake Superior Day, so it seems doubly apt. 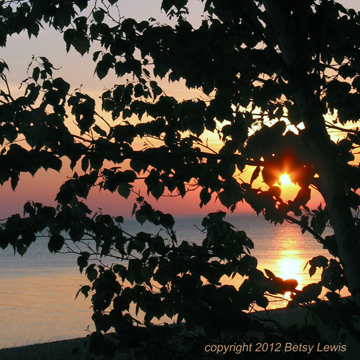 You can learn more about celebrating the Lake at Lake Superior. The photo includes ice, so if you are in one of the “heat zones,” close your eyes, imagine the sounds of waves, feel the cold water and enjoy the Songs of Lake Superior. Mmmmm… Feels great on my rainbow colored foot! and have not “seen” the Lake in daylight for days. I visited her last night at dusk. We talked quietly in the half-light. resting in her cycle of winter. I sang to her, as usual, off key. I thanked her for being, always there, always patient. Home, to rest, to recall her other songs. Kept warm by unseen energies. May your day be filled with rest, action, food for thought, and most of all love. 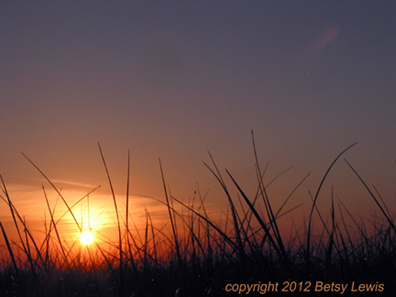 …Sunrise and the grass held crystal dewdrops… all is well once more. Except when I am visually exploring, curious, sharing I feel as if I am living in scarcity, not doing what I love, in order to do what everyone seems to say I need to do in order to pay the bills… go to town, to an indoor job, security. I am so happy and grateful for two days off, just seeing the wonder I live in, shooting, seeing, shooting more… butterflies, snakes, blooming things, sky, sun, dew… and I feel feel so rich, so satisfied. I watched a movie late last night, it was called “Happy thank you more please”. At first it seemed silly, too young… and then there was the scene in which the title became clear. It’s a fun movie and with a perfect message for today. This is not yet another beautiful sunrise or sunset. It is a photo of a forest fire, in my “backyard” that burned almost 22,000 acres in just a few days. It traveled 12 miles in one night, May 24-25 – the night I took these. The fire blew up in 40mph winds, woods dry tinder, 2am May 25th.. When we stopped on the road for me to take this photograph, it was silent. Then a whippoorwill began to sing right beside me… I live in a world of miracles. Duck Lake Fire, 2:00 AM, May 25, 2012, at the roadblock. I have no idea what this weeks photo challenge is… Really! The fire came within 6 miles of my home in the woods, 250+ firefighters have been here working on it and it is now 55% contained. There are so many stories that have come out of this fire… kindness, new friends, reconnecting with friends, watching a community offer love, support, comfort to those who lost everything. The numbers are staggering… I am lucky – I am not one of the numbers. I am lucky… I have been an observer, witness, participant in so many acts of love, kindness, strength and appreciation this week. Yes, happiness, even…living on the edge. Once again learning the importance of knowing priorities… Loving, accepting what is, being grateful for each day, laughing and crying at the same time, comforting others, providing information, knowing that no matter what, I am always safe and choose happy. I am always in the right place at the right time… this time west of the fire. Another, for facts and Department of Natural Resources videos and images go to http://www.michigan.gov/dnr. Maps became essential this week, as well as weather, wind speeds, direction… and new DSL. If you Google “Duck Lake Fire Updates” there are hundreds of photos, videos, stories. The fire has received national coverage, a state of emergency was declared Friday, May 25th, the media started noticing over the weekend. For those of us who live here, we noticed immediately. Evacuations began Thursday evening… and the community of Newberry, Luce County, went to work, taking care of one another. I live in a wonderful place and for that I am happy, every day. Marge, over at Inside Out Cafe has offered several invitations and challenges this year, and her posts about happiness have been intriguing. Moi, however, has been so busy being happy offline, I have been quickly scanning e-mail, blogs, and such. Life is filled with happiness. I am filled with happiness – so much that I feel quite happily explosive – in a good way. As I travel new paths, I have been noticing the love and the gifts, not in each week, or day or holidays… which have been warm and wonderful, but in each moment. Each moment of being in a state of happiness, creates more and then more. Appreciating what is in each moment is bringing more… surprises, gifts, opportunities, love, joy to my humble door. Are there setbacks or barriers? Yes, and not really. Switching to DSL from satellite, sped up my life… and for a minute, slowed it down… LOL! New e-mail address as required made for a lot of change! No problem. I wanted faster manifestations for my work! Someone I love shows up on my doorstep, 3 times in a week, while I am super happily busy working, coaxing me to the beach for a sunset. The first night we were late, the second night was cloudy, and the third – a charm! We laughed, we played like little kids ~ with light and reflections and color and love and respect and appreciation for each other’s values and differences – which on many subjects often seem to be in opposition. We hold our happiness in our own hands, appreciating the loving gifts of beauty we are handed each day. Sharing them, in the moment, is dessert. It is available to everyone, every day. Open hands open hearts, giving and receiving. What has that to do with photography? Everything and nothing? My happiness is in my hands and when we offer each other our happiness, our joy, it is a gift passed on, shared, generous, expecting nothing in return. The giving is the gift, receiving is the opening… or is it the other way around? I need not seek happiness. It lives in me and I get to share it! Saturday, May 5th, my plan was to be at the beach in time to catch the sun setting and the full moon rising – together. Two events happening within minutes of each other, an unusual event and one I love to see and share, especially from a particular beach on Lake Superior. When I left home, the sun was bright and all looked promising. A ten-minute drive to this beach and everything changed. Clouds rolled in, uh-oh! the moon would not be visible tonight, and yet clouds often make for beautiful sunset colors. Arriving at the beach, the clouds had thickened even more. Undaunted, I walked to the water’s edge and instantly saw one of the shots I have been seeking… a Holy Stone, aka Holey Stone, being washed and filled by water. It always amazes me how the Universe conspires to support me with miracles. I have been wanting this natural shot for some time, unwilling to fake it by placing one of these stones at the water’s edge to get the shot. Even when I do that, I am the one who knows I did it… and it feels like a little white lie. The heavy cloud cover was creating darkness quickly, yet the chance to get the stone shot worked… and a little golden color glinted in the sky. Quiet and calm, nature and I, together, whispered Thank You. Life is good when I notice these small things, and go with the flow. Perfection happens when I accept the constancy of change. The full moon rose within minutes, anyway. There are some things we just know, even when we can’t “see” the evidence. Earth Day 2012 dawned bright, sunny cold – 24 F and frosty. As I got in the car, dressed in winter garb, the sun hit the windshield and I couldn’t resist marvelling at the beauty of the sun co-creating with water crystals. Once the sun hit the window fully, they vanished almost instantly, and not before I was able to catch them with 6 quick shots… Pine trees and ice crystals, lit by the sun at dawn took my breath away. My plan was to go into the woods and to the beach, to celebrate Earth Day, to capture the beauty of the little piece of earth I dwell in – my “material” world. That goal became immaterial… and was still realized. Later in the day, as I was returning from the beach, (where of course agates appeared at my feet, as they seem to miraculously and often) a doe and yearling approached me… from the shadows of the trees. I spoke with them awhile, coaxing them closer… The older doe stayed in the shadows, cautious, yet the yearling came out into the sun, curious, interested, long enough for one full body shot… deer on the move. I crossed paths with seven deer this day, they have returned to the north woods after wintering south. The yearlings will soon be run off by the does, when they are ready to birth new fawns. Yes, I talk to the animals in the woods. Yes, miracles happen frequently. Deer – I saw many deer on Earth Day. They are a symbol of gentleness and fit my current life theme… being gentle, with myself, others and planet earth. Kindness, gentleness go a long way. Part of that kindness to myself has been to live life offline less and in the material world more. 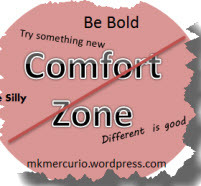 Less pushing to blog, more being quiet, learning, teaching, loving. Spending time with people, new friends and old. For me right now, less of some things is more and all is well. It is pleasing me greatly to only open e-mail every few days… to be creating, building, choosing gently, and mostly, allowing… allowing miracles, allowing clarity and joy. Happy Easter, Passover, Spring or ??? to all the Good Eggs who read this. Everyone makes a difference – the balloons of someone’s celebration, ribbons still attached, litter the beach, along with indestructible Frito Lay Tortilla chip bags, assorted beer and pop cans, disposable diapers, toilet paper and even the cardboard tp rolls. This is a spring fling thing – as snow melts, mysteries are revealed. It is a mystery that people these days are still not responsible for their own junk. Earth is not a garbage can, it is a home we all share. So I celebrated Earth Day by embracing the Earth and Thanking Mother Earth for the beauty I live in and cleaning up a little bit. Every day is Earth Day – for me anyway. Luce County, where I live has no recycling available except for paper, which is collected by the girl scouts. To recycle, we have to drive our plastic, metal, cardboard, 100 miles to Sault Saint Marie, in Chippewa County. Not very Earth friendly, or pocket friendly these days. It’s kinda like living in a third world nation here, with snow. Some of us have been trying to get recycling here for 5 years… everybody says they want it, nobody wants to pay the millage. Most commercial eggs come in styrofoam containers – non-recyclable. Brown eggs come in cardboard – YAY! Lake Superior’s ancient Easter Bunny always gives new eggs, well chilled, stored on and under ice and snow. These eggs are billions of years old and solid evidence life goes on, recycling. My beach studio is intact and spring cleaning is underway. …and on the third day, a resurrection, peace and joy. Today I get to go for a sunrise service at the Church of Peace at the Beach and the Lake will sing it’s songs of Joy with a Hallelujah Chorus over rolling waves… It’s my version of a Holy Roller Easter… LOL! Sunshine, Sunsets, Awards and… Cell Towers? Sunset at Perry’s Landing. Again. This place always brings me back to where I belong. The other night, a friend called and said “Let’s go catch the sunset…” and off we went, hastily, to catch the end of the day’s light. It was cloudy, dark and we caught the very last of the color. He waxed rhapsodic about the hues, the brilliance, the array of color and how we live in such a special place, filled with beauty, peace, and love. I did not take my camera and as usual, he scolded me soundly then gently said something like “I guess sometimes it’s okay to keep the memory and not share it with the world.” That’s why I did not take my camera. As much as I love sharing the beauty here with the world, there are times not to share. There are sacred moments, spent alone or with another that simply cannot be fully shared in words and pictures. This photo was taken the next evening, after a day of sunshine, same place, same hour of the day, and yet in a totally different time frame. It is similar and not the same. The Lake was calmer, it was warmer with less wind and the light was more accommodating. Each time I go to Perry’s Landing I wonder who Perry was. I have been out of my comfort zone a lot lately, not blogging, spending more time off the computer, being in the world with people and then being quiet, at the beach, in the woods, not even taking many photographs. Even during this time off, I have somehow made new online friends, received awards for which I am grateful and have yet to acknowledge. My friend, Angi, A Kiss of Bliss nominated this blog for the Versatile Blogger Award. Thank you, Dr. Angi! I also was nominated for a Sunshine Award by Laurie at New Thought Families. Thank you Laurie Story! Accepting these awards seems to require revealing 10 things ( or 7?) about yourself that my readers may not know. 2. On photography ~ I believe that developing a good eye is more important than having a top of the line camera. 3. My favorite color… if I have to choose – cobalt blue, or purple? Maybe orange? Red? Magenta? Green? hmmmm.. which green? White? Yellow? – I refuse to choose on this one. 4. My favorite number – 8 – lying on it’s side it represents infinity. After that 9 – infinity +1. 5. My name, Star Bear, was gifted to me by a Native American Medicine Woman. It is not the full name I was given, just a part. 6. I am a Leo, with a Libra rising…. always looking at both sides. 7. I know all of my personal animal totems, and communicate with them frequently. 8. I prefer to be outdoors, rather than in. 9. I prefer communicating in person, or by phone, over e-mail, so I can hear the tone in another’s voice. 10. I prefer to hear poetry read aloud. And the bonus # 11 – I ask a lot of questions. This month’s local question is: Will AT&T be permitted to build a 400 foot tower on the Tahquamenon River? It is planned to be built adjacent to a 45,000 acre wilderness area and possibly in view of one of the most beautiful waterfalls, Tahquamenon Falls, second in size only to Niagara east of the Mississsipi, or will they bow to common sense and local consensus and find an alternate location? (Cell towers bring along with them blinking lights – 24/7/365) This place that I live sometimes chooses to act as if it is financially challenged, and Tahquamenon Falls brings 500,000 tourist visitors each year. A large part of the reason people visit here is to briefly escape – technology, urbanity, busy-ness, business. And so it goes ~ progress in the wilderness or saving a few wild places ~ more questions, how to best serve? How to protect? How to be kind, compassionate, loving and take a stand, draw a line. So this is where I have been offline – researching, asking questions, writing letters, surveying friends, neighbors, my community. How can my work as a writer and photographer make a difference? I am trying to imagine what Tahquamenon Falls will look like with a 400 foot tower in the background. Thoughts? May your thoughts be peaceful, thoughtful and loving today. Would you like to Be Inspired on a regular basis? Simply enter your e-mail, then click "Subscribe Now" to follow this blog and receive notifications of new posts by e-mail. As a Thank You for subscribing, you will also receive FREE tips from "Simple Tips for Taking Better Pictures" and a short newsletter. Your e-mail will not be shared.